MOM is WOW UPSIDE DOWN!! Mother-daughter relationships have been written about for centuries. They can be loving and turbulent at the same time. When two women share their Mom stories there is almost always understanding. Though we each have different feelings for our mothers and many are mothers ourselves, we get it!! My Mother was a very special person. Raised by European immigrant parents, my mom, “Annie” as she was known to her dearest friends, was an incredibly smart and compassionate person. She was far smarter than most—graduating from high school at the age of 16. She worked in government service and had the good fortune to become the traveling secretary of choice for Eleanor Roosevelt during the early 40’s when Franklin was President. Mom was an excellent typist and took dictation faster than anyone. Her Gregg shorthand was impeccable. I have many pictures of Mom and the First Lady together at speeches and government events and my mother talked of the special confidence and relationship that they shared. Eleanor had an impact on everyone she met and since my Mom was clearly guided by Mrs. Roosevelt’s politics and human caring, she impacted me as well though not directly. My Mom also had an enormous amount of friends and it is those friendships that had the most profound impact on my life and the friendships I have forged since childhood. Proudly, many of those friends are still friends today and best of all many of my Mom’s friends became my friends too. It is in this season of Mother’s Day (OK, I am a week late) that I want to say, Thanks Mom for teaching me the priceless value of friendship. Many of my parent’s friends were friends that knew me from birth like my Aunt Tsip and Uncle Jake—they were our next door neighbors when I was born. They had two children close in age to my sister and me and so we stayed friends for life. In fact, my Aunt who is 93 is coming to St. Louis with her daughter Ellen and son in law Vern for her granddaughter Kate’s graduation from Wash U. 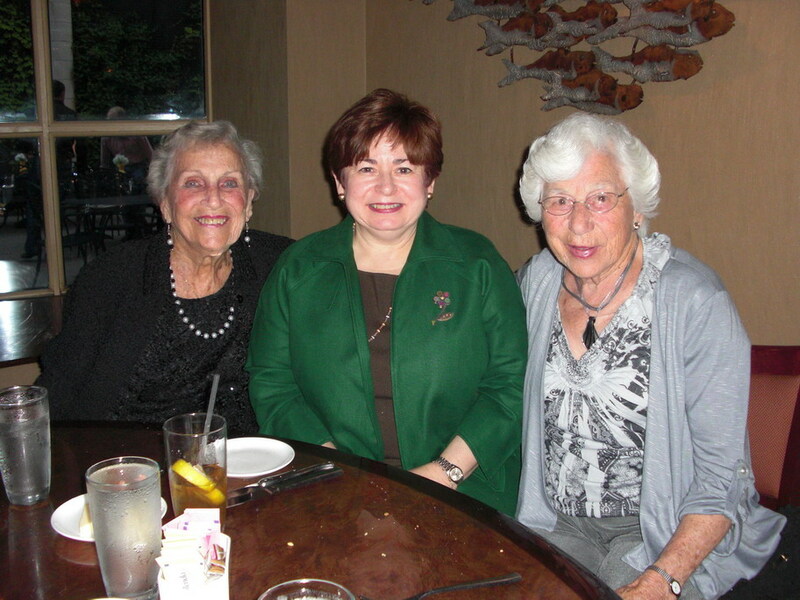 My mother’s closest friend was our next door neighbor in Coral Gables, Doris Hale and Doris was my second Mom. We were always very close even though she had 3 children and her husband Bruce who was the basketball coach at the University of Miami was a great second Dad. Our two families shared holidays, dinners out, trips to Dairy Queen and in more recent years some challenging times as well. Mr. Hale passed away in 1981 but Doris is still going strong at 90. She too will be coming to visit me next week and spend time with Aunt Tsip. You see one of the best traits my Mom had was sharing her friends with each other and so Doris and Tsip have been friends for many years too. My Mom passed away in 1972 at the age of 56 when I was in my early 20’s and life has never quite been the same. I have had to imagine in many instances what my Mom’s advice would have been because she would have always been right (Mom’s are ALWAYS right—I do know that). Other times I can call or email Aunt Tsip and Doris and ask them because they would help me interpret what Mom would have advised or at the very least, give me their version. It has never led me astray. My girlfriends have also shared their Mom’s (and their daughter’s) with me too and that has been special. So like my Mom’s world mine is filled with friends young and old, wise and less experienced but each add value to my life in untold ways . 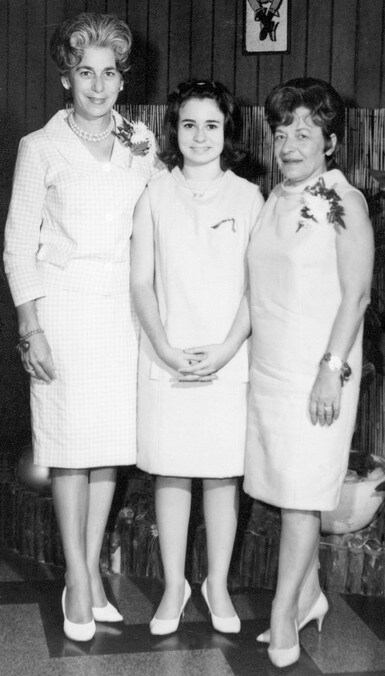 My friend Elaine shared her Mom Elsie with me until she passed away and also her daughter Katie (my BABW inspiration)—so I have had the best of both worlds—a loving Mom and second Moms and Mom’s of my friends to help shape the person I am today. Today Mom friendships are growing exponentially thanks to the web. I am friends with Moms of our BABW Guests from all over the world as well as Moms I have met on Facebook or Twitter or at speeches I have given around the country. The connection between two women is special and to all of you thanks for including me in your world. And while many of us have not yet met in person or met very briefly, you too help me be all I can be. Happy belated Mother’s Day! You are currently browsing the Maxine Clark's Blog blog archives for May, 2010.